Lenovo India has slashed the price of its selfie-focused smartphone, the Vibe S1. The device was launched at Rs. 15,999, but will now be available at Rs. 12,999. Lenovo has slashed its pricing by Rs. 3,000. The highlight of Lenovo Vibe S1 is its dual front camera. In addition to the 8MP camera, Lenovo tops itself by adding a second camera of 2MP. 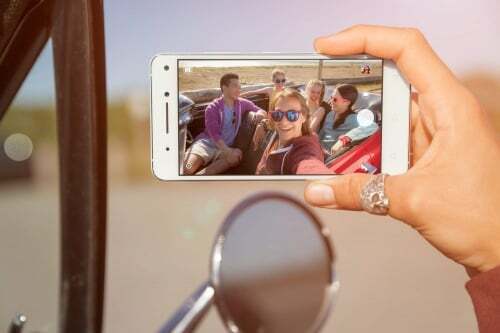 According to the company, the 8MP primary front camera takes sharp photos, while the 2MP secondary front camera adds more depth and dimensions to the self-portraits. Lenovo Vibe S1 continues its camera saga by adding another 13MP at the rear. There are photo enhancing features such as dual-tone flash, tools such as Blur, Cut Out etc., as well. In terms of other specifications, Lenovo comes with a 5-inch full HD display of 1920 x 1080p. Inside is a 64-bit, 1.7GHz octa-core processor from MediaTek coupled with 3GB of RAM. There is a 32GB in-built storage and supports external card for storage expansion, using which users can expand up to 128GB. A dual-SIM device, the Vibe S1 comes with 2,500mAh battery. The smartphone supports 4G LTE connectivity and is available in two color options – Pearl White and Midnight Blue. Lenovo vibe K5 plus is far more better than lenovo S1. Note that there is no backlight option for the bottom 3 virtual buttons in all or most of the lenovo phones which is a major drawback. Had it reduced it’s price 1 month ago I would have purchased it instead of Oneplus x! They were losing sales due to competition from other players with better looking mobiles and better specs mobile at such range. Oneplus is a third clasa company. See the price and specs of lenovo K5 plus and then comment here.